This is the third Trip Tech CD that I have reviewed. I believe that Trip Tech is a duo of Kyron and David Collin but I am not certain. I am really a fan of their dark, tripped out music. The emotions that the music evokes are quite strong. 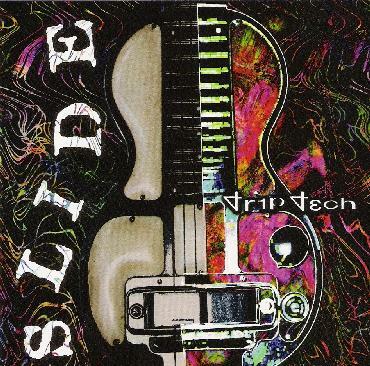 Slide is a totally different experiment for them as they construct and deconstruct the slide guitar and melt it and shape it into fantastic freaked out soundscapes like nothing that you have ever heard. The material presented here is not nearly as dark as their previous CDs. You just have to hear them to understand the space in the universe that they exist in. Cool stuff. For more information you can visit the Black Note Music web site at: http://www.deconstructionist.com/blacknote.